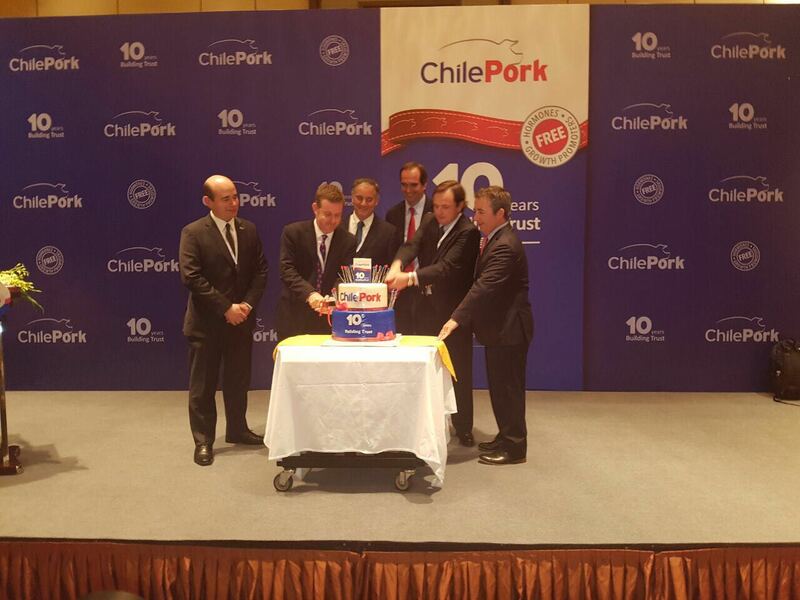 The ChilePork delegation – consisting of the export companies Agrosuper, Maxagro, Coexca, and AASA – met with their business partners, the Chinese importers, at a seminar inaugurated by the Chilean ambassador to China, Jorge Heine, and the president of ChilePork, Juan Carlos Domínguez. “We have earned your trust and loyalty by offering a product of guaranteed quality and food safety. This has enabled us to grow at an annual rate of 70%, with a record level of US$129 million of shipments to China in 2016,” he noted. 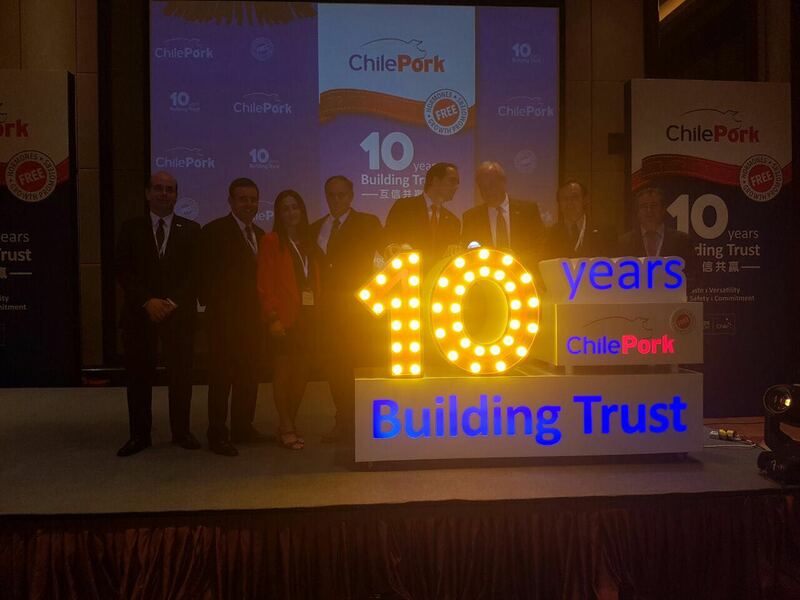 The meeting closed with a symbolic ceremony of lighting up a figure representing the close relationship built up between ChilePork and its business partners in Asia, especially in China.